From a humble fishing village, Singapore has grown to become a prosperous cosmopolitan nation with four major races, namely Chinese, Malay, Indian and Eurasian. With abundant greenery and world-class attractions like the beautiful Botanical Gardens and the futuristic Gardens by the Bay, Singapore truly is the Garden City. Yet it is our distinct historical neighbourhoods that make Singapore a unique destination, where you can enjoy discovering our cultural, religious and culinary diversity, all within a stone’s throw of the city centre. A buzzing historic area that shows off the best of Singapore’s Indian community, Little India today is one of Singapore’s most vibrant districts. A walk down Serangoon Road aand neighbouring streets treats your eyes to a harmonious mix of Hindu and Chinese temples, mosques and churches, as well as tantalizes your taste bud for South Indian and North Indian cuisines. While you are there, don’t forget to shop at the 24-hour shopping mall, Mustafa Centre, which offers everything, from electronics to groceries, or take your pick from the open-air Tekka Centre, goldsmith shops and sari stores. Singapore’s historic Chinatown is a bustling mix of old and new, filled with traditional shops, markets, famous temples and mosques, as well as cool stores, chic restaurants and hipster cafés. Your food trail should include ‘char kway teow’ (stir-fried noodles) and ‘satay’ (barbecued meat skewers) at Chinatown Food Street as well as the hawker stalls and shophouse restaurants along Smith Street. For trendier tastes, restaurants are aplenty at Neil Road, Duxton Road and Keong Saik Road. Afterwards, check out the hangout spots at Club Street and Ann Siang Road. Discover Kampong Glam’s rich history, living traditions, excellent eateries and trendy shops in this vibrant neighbourhood. Shopaholics can head to colourful Haji Lane – a row of boutiques, hip bars and cafes. 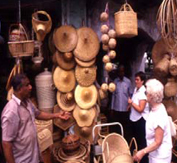 Or pick up traditional wares such as Persian carpets, kebaya dresses and handmade perfumes from Arab Street and Bussorah Street. Try an exotic mix of culinary delights, from Middle Eastern to Mexican fare, and local delicacies such as nasi padang (steamed rice served with various dishes) and Malay Kueh (‘cakes’). You can learn more about the rich heritage and culture of Singapore’s Malay community at the Malay Heritage Centre at Istana, the old Sultan's Palace. Katong is well known as a food haven among the locals. 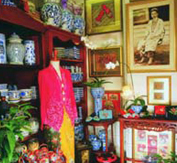 Once a Peranakan enclave, the Joo Chiat district is rich in Peranakan and Eurasian heritage and architecture. Wander along East Coast Road for a choice of delectable local fare, which includes the famous laksa dish, tasty local seafood and Peranakan cuisine.